My husband does not enjoy desserts that do not involve chocolate. He considers them a waste of time. I, on the other hand, love fruit flavored desserts. This is why I took advantage of his absence at a conference to spend the week making fruity deliciousness. This is not the only fruity dessert you’ll be seeing in the near future! Anyway, lemon is one of my favorite flavors. It’s light, it passes for both spring and summer, and I love the bright yellow color of a lemon dessert. You just can’t beat that. It’s like sunshine in bread form! A light lemon loaf complimented with sweet orange sugar glaze. Mix together eggs, butter, sugar, and lemon juice. Add salt, flour, and baking powder and mix well. Add milk to batter and mix until smooth. Pour into greased and floured bread pan. Bake at 325° for 45-55 min. Allow bread to cool. Mix together ingredients for glaze. Drizzle glaze over cooled bread. This recipe will make 4-6 mini loaves depending on size. Follow all instructions, but bake at 325° for 23-25 minutes. You can vary the ratio of orange juice and powdered sugar to make a thicker or thinner glaze. You can sub lemon or lime juice for the orange juice in the glaze for some different flavor combinations! What’s your favorite fruity dessert? Leave a comment and let us know! I linked up at Tatertots and Jello! Check out their Link Party Palooza for more great recipe and project ideas! Yum! That looks so delicious! 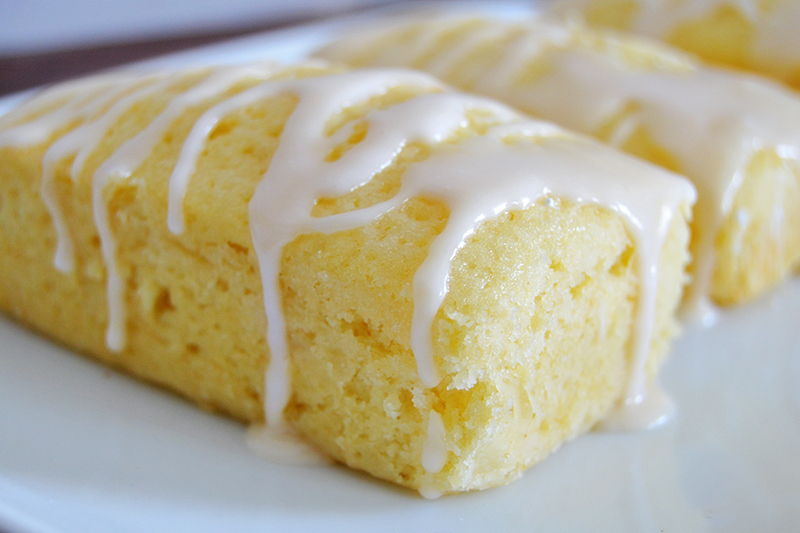 Pound cake is the best! The colors don’t hurt either – they’re so bright and fun! I’m with you, I love fruit based desserts! Of course, I’m with your husband too because I love chocolate just as much. But this combination of lemon and orange is high on my list of deliciousness! Being a Floridian, citrus flavors are always popular in our house. I think I’ll be making this in the near future. 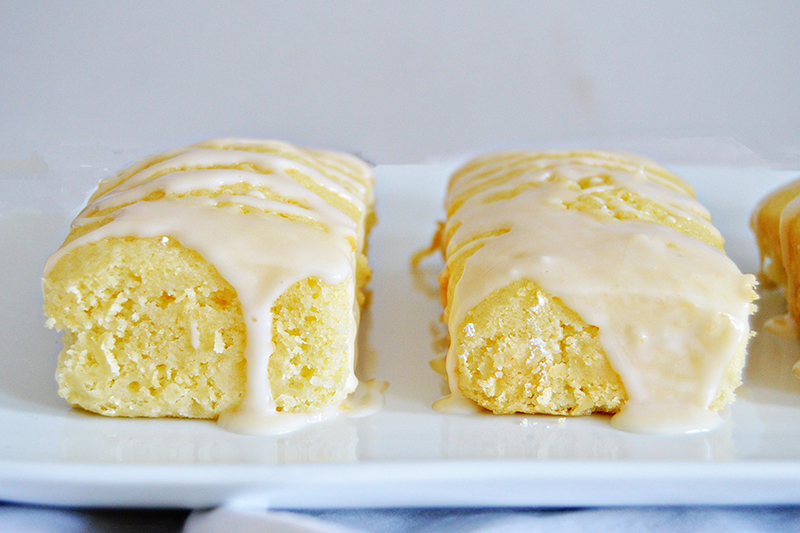 Lemon pound cake is my favorite! Going to have to make this! I need to eat this for breakfast! It looks amazing! Thanks for linking up to Link Party Palooza! Hope you’re having a great weekend!